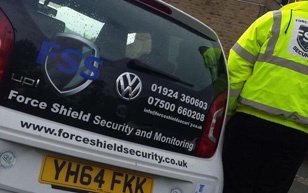 Based in Wakefield, Force Shield Security is a specialist in the Private Security Industry. Its services cover all aspects of manned, mobile and electronic security requirements. Having recently expanded the company from door supervision into the manned guarding space, Force Shield Security felt it was necessary to introduce a lone working strategy that could help it to monitor its guards. Due to the nature of work carried out by the guards, Force Shield had a health and safety obligation by which it needed to comply. In order to meet these legislative requirements, the company decided it needed to invest in a suitable lone worker solution which would protect and monitor its guards when working alone and out of hours on patrol jobs. Previously, the security company depended on one of its manned guarding clients which had its own internal check-call system to monitor the guards. However, this was not a sustainable solution when taking on new work beyond that client and so Force Shield Security needed to invest in another more suitable solution. Force Shield Security implemented Crystal Ball’s MobileLWP in May 2015 across its entire manned guarding workforce. With MobileLWP in place, Force Shield Security can now effectively monitor and ensure the welfare of its manned guards through a simple smartphone application. MobileLWP’s integrated panic alarm functionality means the guards can raise an alarm if necessary through the easy-to-access ‘hot key’ on the handset or ‘SOS’ button within the app. This enables an alarm to be raised effortlessly if required. MobileLWP also offers continuous welfare and protection through Routine Welfare Checks. This functionality allows the guards to set a designated time period and if he or she fails to respond when that time period or ‘session’ expires an automated amber alert will then be raised. Investing in MobileLWP has also provided the company’s management team with peace of mind. Utilising the system as a workforce management tool allows the company to monitor employee locations and ensure they are doing their job correctly and are on the correct sites at the right times.